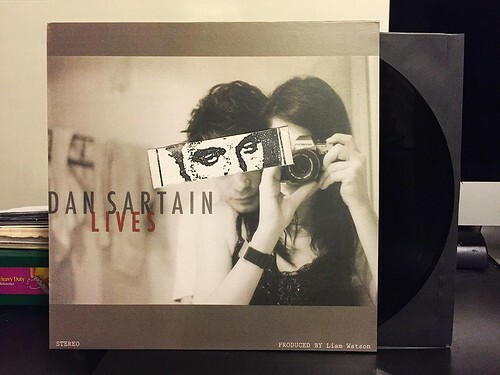 The second of the two Dan Sartain reissues is Dan Sartain Lives. It's another album that wasn't on vinyl previously and that was a crime. You're not going to hear me say much about Dan Sartain that isn't a compliment and among Dan's records, this is one of the best. I think Join Dan Sartain will always be my favorite of his records, but Dan Sartain Lives is definitely in the discussion for number two on the list. Once again he's just packed this album full of great songs. From the slower fuzzed out "Doin' Anything I Say" to the latest manic installment of "Walk Among The Cobras IV" to the stripped down and deliberate "Atheist Funeral" you can really see Dan growing as a songwriter on this album. Dan Sartain would start experimenting more with some good old fashion punk rock after this Dan Sartain Lives came out. While those records are also tremendous in their own way, to me the one-two punch of Join and Lives really epitomizes what I love about Dan Sartain's music. As with Vs. The Serpientes, the card stock that One Little Indian used on the album cover is kind of cheap and flimsy, but I'm just so happy that this record is finally out on vinyl, it's hard to complain too much about that.